 Microsoft has released a Windows security patch MS17-010 for Windows machines. know or companies you don't do business with. Ransomware Advisory Note Released by Cyber cell Police Head Quarter. Bihar Matric Result Announce very soon !!!!!!!! Declaration of Matric Result Schedule is not fixed. We update this page as soon as the date / time is decided. Further information on the Bihar board 10th exam result 2018 will be updated on website as and when it is received from the board. Name - Big Bazaar Khajepura, Bailey Road, Patna. Contact Number - 06123046589 . Landmark- Near Shiv Mandir . Address - Kashyap Business Park, Khajepura, Bailey Road, Patna. Name - Big Bazaar Kurji More . Contact Number - 06123058480 . Landmark- Near Notre Dame School . Address - Boring Road, Patliputra, Kurji More . Pin code - 800010 . Name - Fashion @ big Bazaar Jagdev Path. Landmark- Opposite Jagdev Path Golambar . 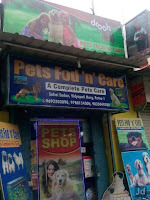 Address - Jyotipuram, G01&101, Block- A , Bailey Road . Name - Big Bazaar (Bharti Retail Ltd) Exhibition Road. sticks, biscuits, shampoo, powder, feed bowl, toys and many more things like that. Contact Number :- +91 9693503090, 9708154300, 9835049288 . Place/Landmark - Opp. Tara Mandal. Pin code - 800001 . Contact Number - +(91)-612-2528025 +(91)-9835443099 , +(91)-9006633020. Place/Landmark - Near Alankar Place. Address - 5, Mitra Compound, Boring Road, Patna ,Boring Road Crossing . Contact Number - +(91)-9934741143 , +(91)-9386359001 . Address - Arya Kumar Road, Machuatoli , Patna , Near Ashoka Jewelers . Pin code - 800004 . Contact Number - +(91)-9955041248 . Year Established / Hours of Operation- 2000 / Mon-Sun :09:00 am - 09:00 pm . Place/Landmark - Near Panchmukhi Hanuman Mandir. Address - Near Mohan Sweets, East Boring Canal Road, Boring Road ,Patna . Contact Number - +(91)-7488590418 , +(91)-9470642698 . Year Established / Hours of Operation- NIL/ Mon-Sun :12:00 am - 11:59 pm . Place/Landmark - Opposite Janki Niwas . Address - A/315, A G Colony, Ashiana Nagar, Patna , Opposite Janki Niwas . Contact Number - +(91)-9308852645 , +(91)-9835426498 . Year Established / Hours of Operation- 2007 / Mon-Sun : 08:00 am - 10:00 pm . Address - Alpana Market, Patliputra Colony, Patliputra, Patna , Beside Indian Bank . Contact Number - +(91)-9334336881 , +(91)-7857952595 . Year Established / Hours of Operation- 2013 / Mon-Sun :10:00 am - 09:00 pm . Address - House No-1, Saidpur Road , Gali No-2, Saidpur , Patna . Contact Number - +(91)-9934073117 , +(91)-9304934770 . Year Established / Hours of Operation- Mon-Sun :11:00 am - 09:00 pm ,12:00 am - 12:00 am. Place/Landmark - Shri Krishna Puri , Beside Bank Of Baroda. Address- Apoorva Radha Complex, Ground Floor, Shop No 1, Shri Krishna Puri, Boring Road . Contact Number - +(91)-8298972823 . Year Established / Hours of Operation- 2011 / Mon-Sun :09:00 am - 08:00 pm . Place/Landmark - Near Axis Bank. Address - House No.1/110, Vivekanand Marg, Boring Road, Patna , Near Axis Bank . Contact Number - +(91)-9798997211 , +(91)-9304973211. Year Established / Hours of Operation- 2012 / Mon- Sun :09:30 am - 10:00 pm . Address - Arya Kumar Road, Machuatoli , Patna , Near SAI Yamaha Showroom . Contact Number - +(91)-9386565583, 8986225180. Year Established / Hours of Operation - 2003/ Mon-Sun: 09:30 am - 06:30 pm . Place/Landmark - Near New Patna Club. Address - Qr No-C/19, East Gardner Road, Patna GPO, Patna , Near New Patna Club. Contact Number - +(91)-9386292252 . Year Established / Hours of Operation- 2013 . Place/Landmark - Dak Bunglow Chauraha . Address - Lok Nayak Bhawan, Dak Bunglow Chauraha ,Below Axis Bank . Contact Number - +(91)-9905702090 . Year Established / Hours of Operation- 2011 / Mon-Sat:10:30 am - 08:30 pm . Place/Landmark - Near Judges Court. Address - Judges Court Road, New Jakkanpur, Patna , Near Judges Court . Contact Number - NIL . Year Established / Hours of Operation- 2009/ Mon-Sat:10:00 am - 09:00 pm, Sun:Closed . Place/Landmark - Opp Harihar Chamber. Address - Nageshwar Colony, KM Singh Lane, Boring Road, Patna ,Opp Harihar Chamber. Contact Number - +(91)-9709351402, 9835218280 . Year Established / Hours of Operation- 2007/ Mon-Sun :10:00 am - 08:30 pm . Address - Road No.-25, Sri Krishna Nagar, Kidwaipuri, Patna , Opp State Bank Of India. Contact Number - +(91)-9696980389 . Year Established / Hours of Operation- 2002/ Mon-Sun : 10:00 am - 10:00 pm . Address - Shop No-1, Boring Road, Patna - 800001 . Year Established / Hours of Operation- 2012/ Mon-Sat:11:00 am - 10:00 pm , Sun-Closed . Place/Landmark - Near Chanakya Law University . Address - Bangali Tola , Mithapur, Patna , Near Chanakya Law University . Contact Number - +(91)-9934361618, 9386591979 . Year Established / Hours of Operation- 2011/ Mon-Sun :10:30 am - 08:00 pm . Address- Alpanamarket, Patliputra Road, Patliputra , Patna , Near Indian Bank. Contact Number - +(91)-9798095414 . Year Established / Hours of Operation- 2013/ Mon-Sun :10:00 am - 08:00 pm . Address - MIG 231, Malahi Pakhri Chowk, Kankarbagh, Patna , Opposite Vaccine House. Contact Number - +(91)-9304854918 . Year Established / Hours of Operation- 2003/ Mon- Sat:10:00 am - 09:00 pm, Sun-Closed . Address - R.K. Avenue, Nala Road, Kadamkuan, Patna , Near R.K Mission . Contact Number - +(91)-9334421525, 9525961525, 9470703130 . Year Established / Hours of Operation - Mon-Sun:09:30 am - 09:00 pm . Place/Landmark - Sheikhpura Raja Bazar. Address - Shop No 5, Sahil Market, Sheikhpura Raja Bazar , Behind Liberty Showroom . Contact Number - +(91)-9835441875, 9835420606 . Year Established / Hours of Operation- 2008/ Mon-Sat:10:30 am - 08:30 pm ,Sun-Closed. Address - Arya Kumar Road, Machuatoli , Patna , Near Sai Yamaha Showroom. Contact Number - +(91)-9304490441 . Year Established / Hours of Operation- 2013 / Mon-Sat:10:00 am - 09:00 pm ,Sun: Closed . Place/Landmark - Near Science College. Address - Bikhnapahari More, Rajendranagar, Patna , Near Science College. Pin code - 800016 . Contact Number - +(91)-9334339926 . Year Established / Hours of Operation- Mon-Sat:10:00 am - 08:00 pm ,Sun -Closed . Place/Landmark - Digha -Danapur Road. 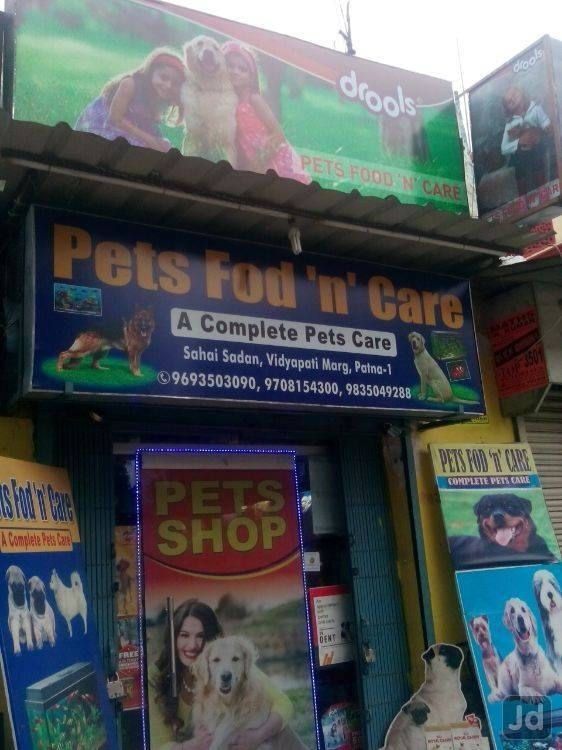 Address - Bataganj, Patna . Pin code - 800018 . Contact Number - +(91)-8298366333 . Year Established / Hours of Operation- 2014/ Mon-Sun :10:00 am - 09:00 pm . Place/Landmark - Rajiv Nagar . Address - Meghali Mansion, Rajiv Nagar Main Road , Near Manokamna Durga Mandir . Shree Bala Jee Acoriam . Contact Number - +(91)-8987311721 . Year Established / Hours of Operation- 2009/ Mon-Sun :10:00 am - 08:00 pm . Address - Kankarbagh Colony More, Kankarbagh Main Road , Near Hotel Season4. Contact Number - +(91)-9852447155, 9334915667 . Year Established / Hours of Operation- Mon-Sun :10:00 am - 08:00 pm . Address - Loha Singh Gali , Opposite Shakti Shive Mandir, Near Kamdhenu Hotel . Contact Number - +(91)-7870477389, 8969340392 . Year Established / Hours of Operation- 2012/ Mon-Sun: 08:00 am - 10:00 pm. Address- Road No- 1, Rajendranagar, Patna , Opp.Electric Office . Contact Number - +(91)-9835043444 . Address - Rajendra Nagar Road No-3, Rajendranagar, Patna , Near Maya Medical Hall . Year Established / Hours of Operation- 2015 / Mon- Sun :09:30 am - 09:30 pm . Address - Arya Kumar Road, Machuatoli, Patna , Opp. Dinkar Bhawan. Contact Number - +(91)-612-3227959, 3227950 +(91)-9431815236, 9939391655, 8102985601. Year Established / Hours of Operation - 2014/ Mon-Sun: 10:00 am - 08:30 pm . Address - Arya Kumar Road, Kadamkuan, Patna , Near Dinkar Golambar. Pin code - 800003 . By Santosh N Prakash. Awesome Inc. theme. Powered by Blogger.